Summer has passed and thousands of holidaymakers have packed up their chairs and deserted the beach. The weather has turned and only the most dedicated fishermen are left sitting lonely on the end of the pier without so much as a bite on their motionless fishing lines. The beach appears to be empty and there are few signs of life above the water. Every diver in Victoria waits anxiously to hear those four words. The car is loaded, the camera is charged, the tanks are filled and we hit the highway. 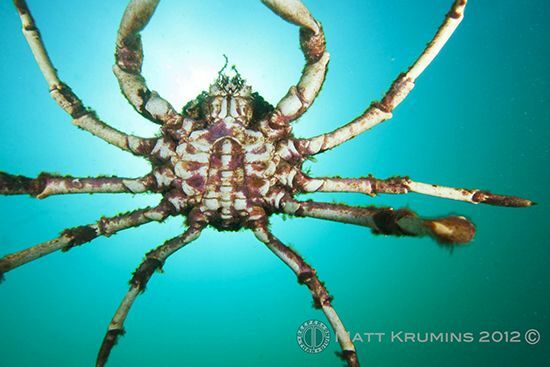 You see, this is an exciting event - not only because it is such a spectacular and unique occurrence, but because in recent times the once clockwork punctuality of this migration has now become a rather loose commitment which the spider crabs no longer feel obligated to maintain. 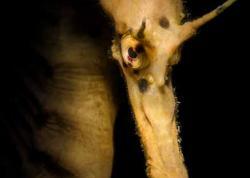 We see the shallow sandy bottom dotted with little black spots as we walk down the pier - moving spots that turn into a moving cluster, which then merges into a single black blanket of activity that swallows the entire seafloor. This is what we have been waiting for. Striding off the lower landing and curling our legs so as not to disturb the thick layers of spider crabs that have encrusted the area, we start our very short decent. 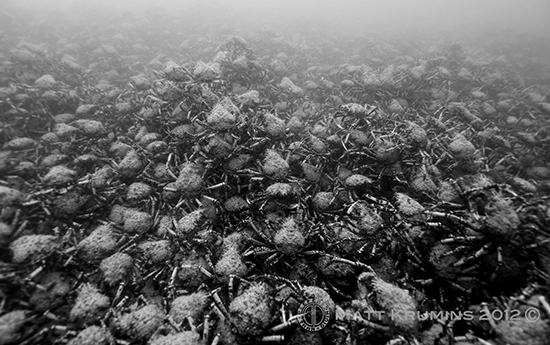 Only pictures can truly describe the scene underwater where spider crabs pile 6 or 7 deep - the pylons of the pier completely encrusted with the spiny shells of the crabs. There is no place to settle down and no sand to be seen - just crabs. 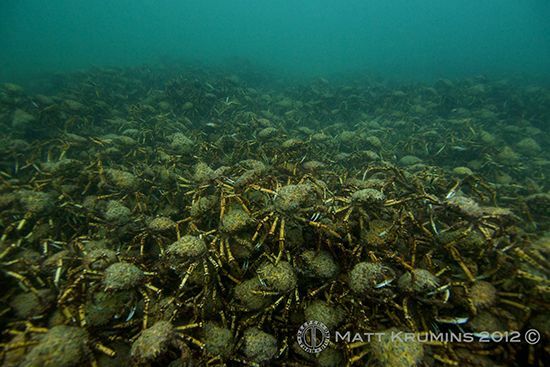 From a photographic perspective the crabs are both a blessing and a curse. The endless sea of shells creates a spectacular sight for the eyes, but with such a complicated and repetitive pattern is very difficult to photograph well. Finding a subject or focal point to really tell the story becomes a major challenge. 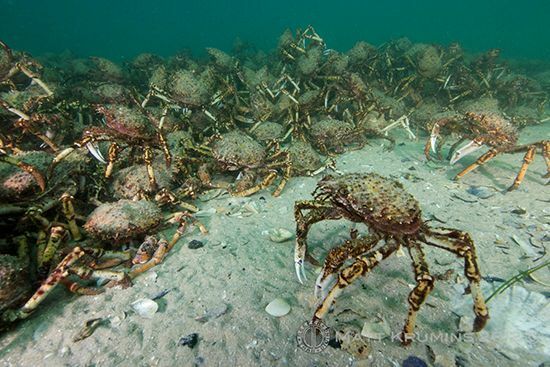 To make things worse, the long clumsy legs of hundreds of thousands of crabs feeding simultaneously stirs up silt and sand. 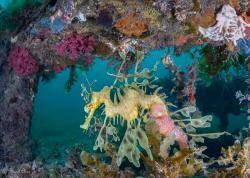 As a result, the water clarity drops and strobe lighting becomes rather tricky. 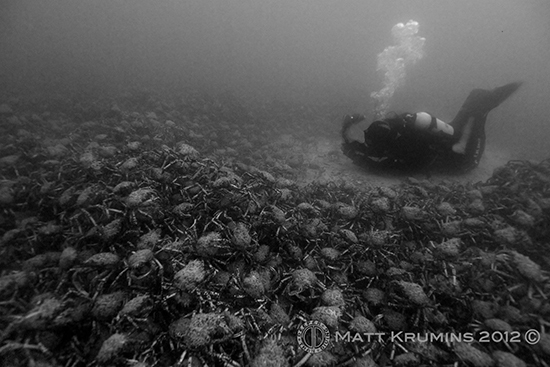 Through years of interacting with the crabs I have found (as with all marine creatures) that patience is the key to getting the shot. Waiting until a crab climbs the pylons to the water surface and then jumps back into the swarm of spidey friends lends itself to amazing shots from below. Dramatic images with clear stories can be found by those who have a sharp eye, like an adventurous crab who climbs and conquers a shorter cut-off pylon to then stand like a king above an army. Like all underwater photography, simply including your buddy in an image can add scale. What is most spectacular about this migration is that it only occurs at one single pier within the bay. If you traverse 100m up the beach you would never know what was going on just a stone’s throw away. Not surprisingly, the migration is well documented by photographers and divers, although not much information can be found from a scientific standpoint. 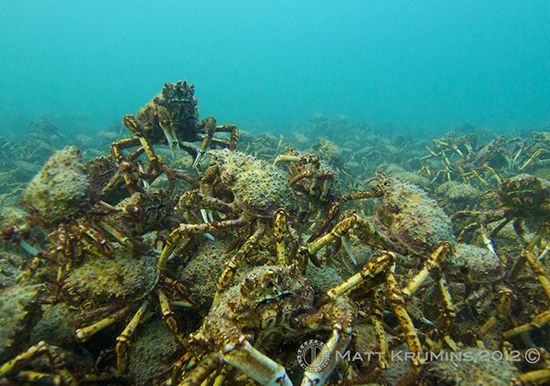 Current belief is that it is some kind of mating ritual where the spider crabs molt their shells - which is apparent by the debris left on the sand after each event. Then they are gone. Within a week’s time the spider cabs arrive and form a massive group, molt and then leave. All that remains under the pier are the thousands of shells left behind. The crabs have stripped it bare. The water under the pier, once bustling with life, is left to rejuvenate, re-populate and prepare its self for next year’s sacrifice to the crabs. As a photographer you will succeed no matter how you shoot this migration event. The beach is empty, the water temperature has plummeted and the unsuspecting public has gone home. 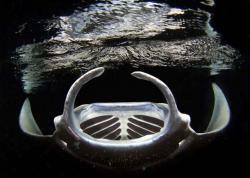 Only underwater photographers have the ability to share this unique experience with all those people. That is why we do what we do. 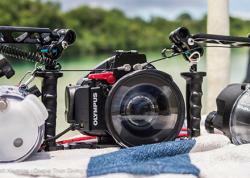 Matt Krumins is the owner and operator of Deeper Than Diving UW Photography and ambassador to the Olympus underwater housing range. His experience in UW photography is concentrated around the Asia Pacific region and it has led him to launch his own unique, fun and contemporary brand of UW photography courses based in Australia. 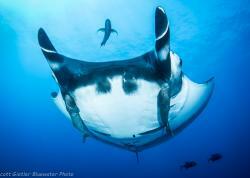 To follow his photography and course information jump onto www.facebook.com/deeperthandiving and be sure to check out www.deeperthandiving.com.